For those that don't know, we recently tore out the dropped ceiling in the kitchen of our new house. 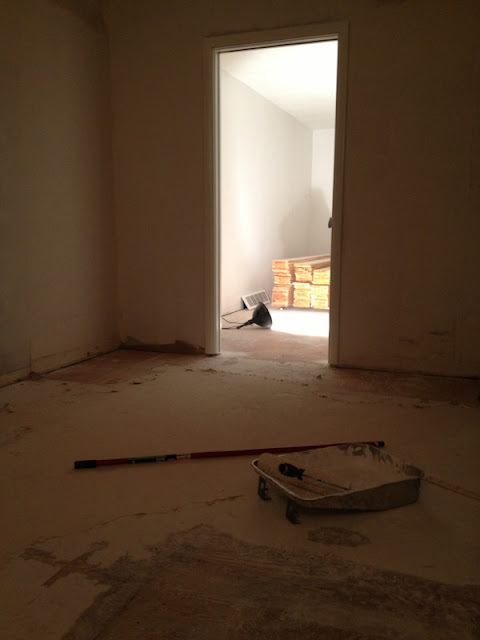 We went through the journey of drywall. 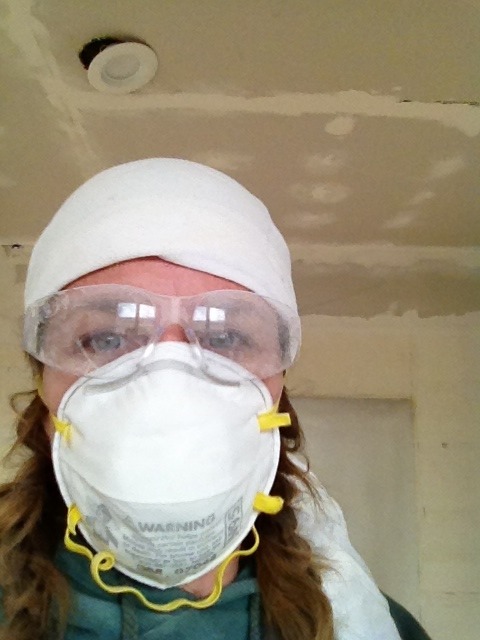 I still needed to finish sanding the mud on the drywall. Not a fun job. It wasn't smart to wear my hair in braids that day. My braids stuck out and soaked up the drywall dust. It was not only in my hair, but everywhere. Drywall dust has settled into every crevice in the downstairs of our house. That should be fun to clean up when the time comes. I went through one can of primer and then ran out. This is how far I got. I'm not looking forward to going back to finish it. It's killer on the neck. I am a little torn about what to do with the ceiling. I know it's hard to tell from the photo, but the adjoining dining room ceiling has a texture to it. 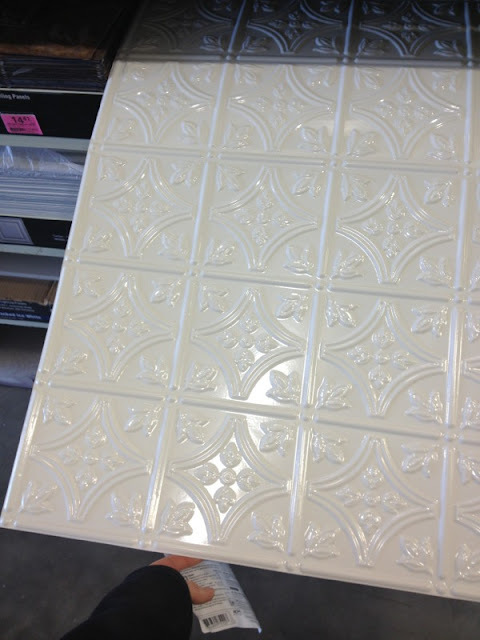 I don't really like it and especially not for a kitchen. I looked into putting up something like this instead of doing the texture and carrying it into the dining room too. They are 2 x 4 foot pieces. White is my favorite. It's nice and glossy and easily cleaned. 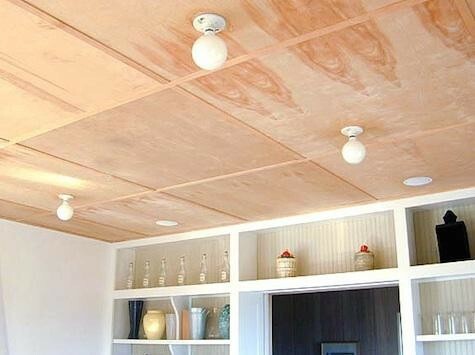 You install it by gluing it to the ceiling and there is a track system that is optional also. These are some of the other colors. 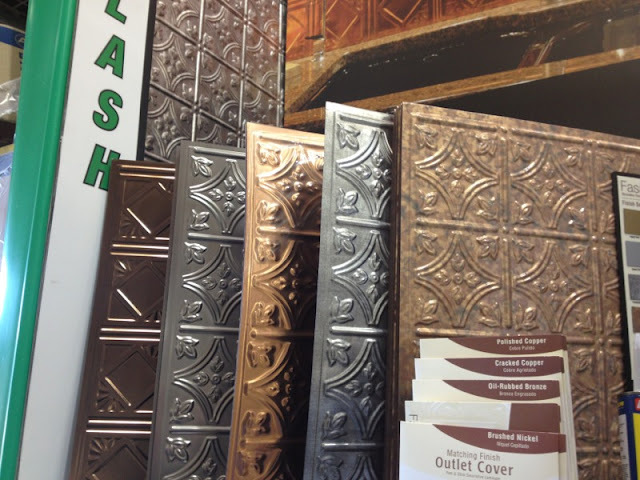 I love the looks of a tin ceiling. But the problem is they are not cheap. At around $16 a piece that adds up fast. We don't have that in the budget right now. I wish we did. I also found another idea on Pinterest. 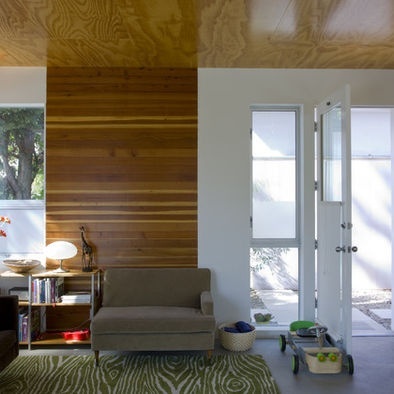 Plywood ceilings. 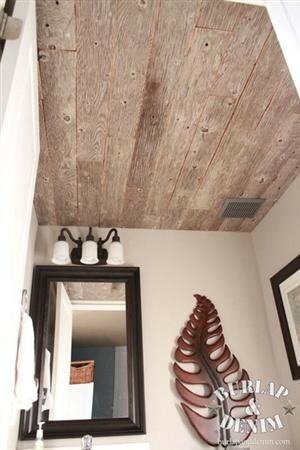 I found some that put full sheets of plywood on the ceiling, others that ripped the boards into strips, some kept it natural, and other painted it white or stained it. Maybe for now I will have to do the texture to match the other ceiling and do something else down the road. This is hard for me to accept, but I'm learning to have more patience.